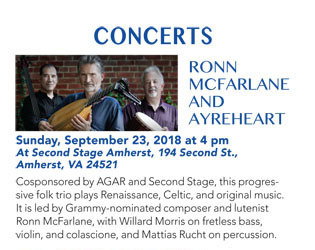 Amherst Glebe Arts Response, Inc.
Click here to order tickets for individual concerts as they are added. 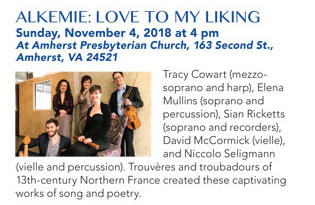 or click on the concert titles below. (434) 989-3215. Director of Program Development for the music series is Anthony Harvey. 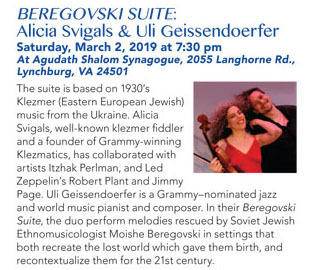 For information about concerts and supper reservations please call the Amherst Glebe Arts Response office at 434-989-3215 or contact agarva@aol.com. 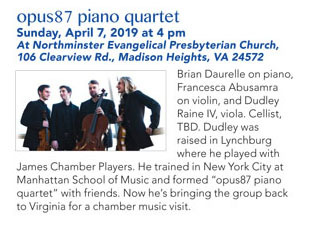 This chamber music series is supported in part by funding from the Virginia Commission for the Arts, and the National Endowment for the Arts. 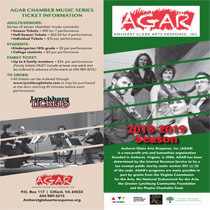 Season Tickets available, includes six or three concerts: For Three Concert ticket , please indicate selected concerts in comments on check-out. Credit cards only accepted through LynchburgTickets.com. All tickets will be held at Will Call. Available for pickup when you arrive for the concert. Supper/Reception following the concerts: Everyone is invited. 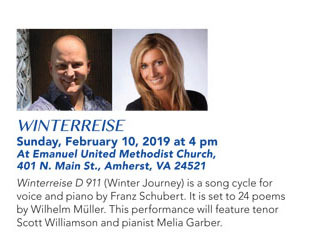 A voluntary donation will be collected for Amherst Cares, a program for food-insecure children. 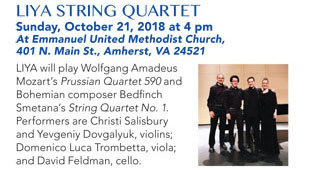 For information about concerts and supper reservations: Please call the Amherst Glebe Arts Response office at 434-989-3215 or contact agarva@aol.com.